Easy zippers! 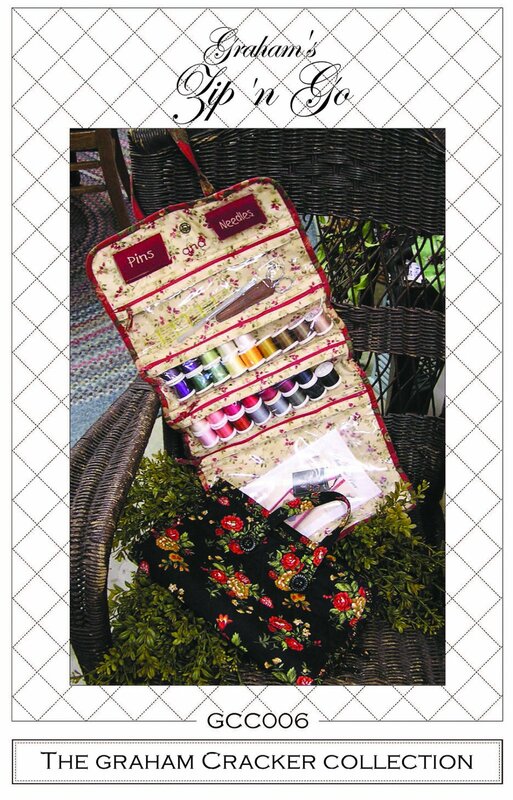 This little tote goes together in no time, and is great for class sewing notions or take-along hand projects – appliqué, hand-piecing, cross-stitch, punch needle or embroidery. Two options allow for four or five zippered pockets. The tote has convenient carrying handles. It measures approximately 13 x 9½” closed, 13 x 27” fully opened.